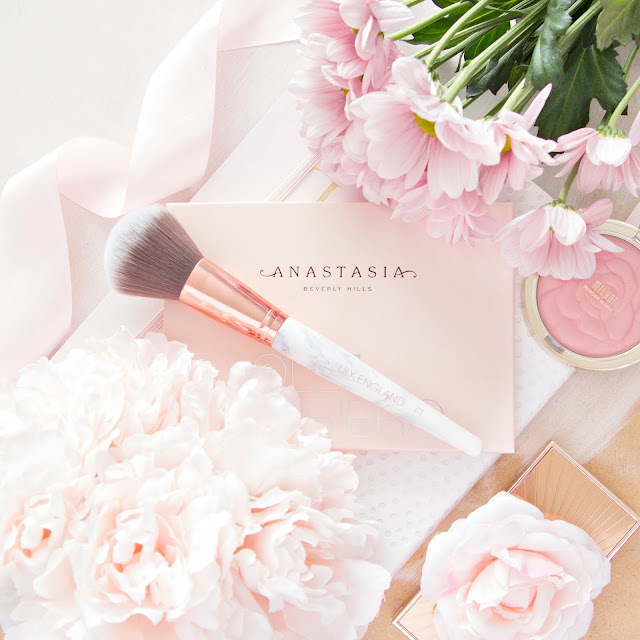 I receive a lot of messages asking me for flatlay photography advice, so I decided it was about time I wrote another post! 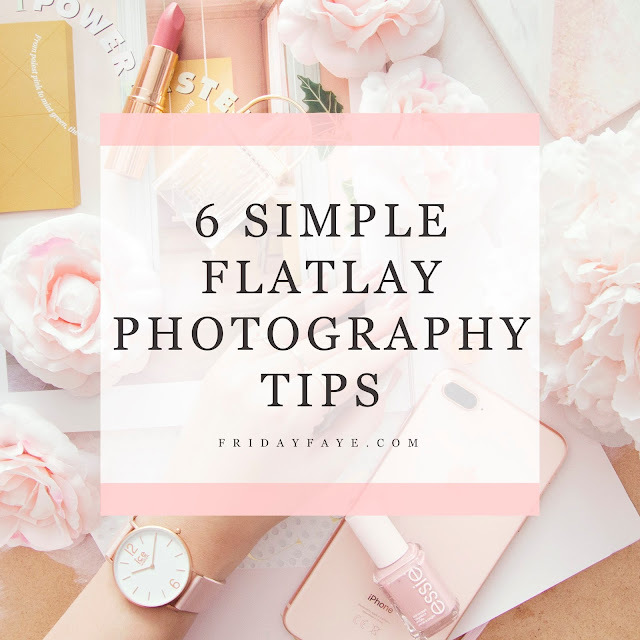 I'm going to make this one a "quick fire" list of tips, featuring six simple steps that you can introduce to your flatlays right now, without having to buy any equipment or having learn any new complicated camera settings. Let's get started! 1. With winter approaching natural daylight is going to be harder to come by, so to maximise the available light, shoot as close to a window as possible, and use a piece of white card (thick paper would also work) to bounce the light from the window back over your setup. This will brighten up the whole image, reducing harsh shadows and making the lighting look much more even. On a very dark day, try using a mirror or some tin foil to the same effect. 2. My second tip is to choose your backgrounds wisely, according to your theme. 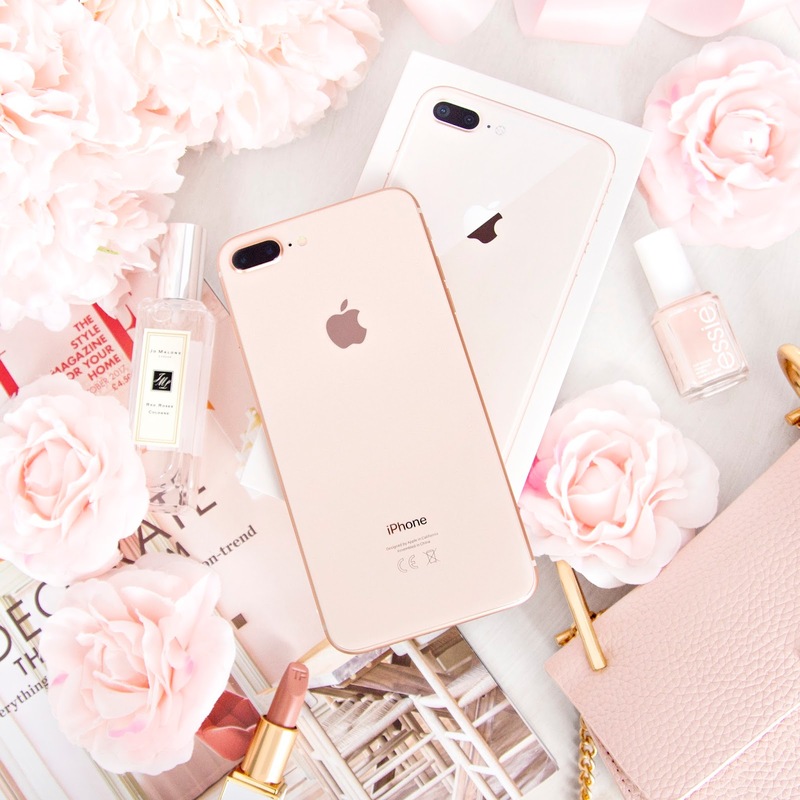 My theme is pink and white, which makes my background options very simple! I have a plain white Ikea tabletop, a white blanket, a roll of adhesive marble and a white washed board. When I feel like changing it up I might use my wooden dining table, but if I do then I make sure that the props and products that I use are all white and pink. Making little changes to the types of props or backgrounds that you use between your flatlays is great for creating a more diverse and interesting set of images, but you should try to make sure that they all still have a common theme running through them. 3. 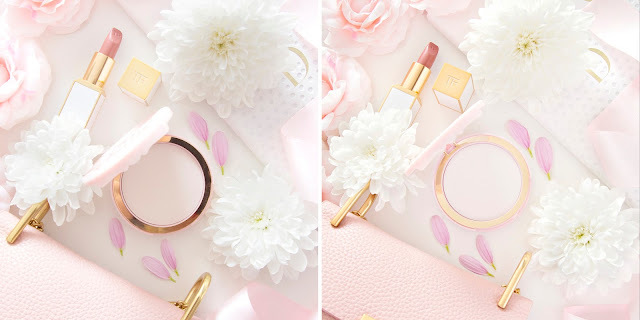 My flatlays are quite heavily embellished, so skip over this tip if you prefer a cleaner, simpler look! I like to build my frame from the outside in, so usually I'll use flowers and books to fill the corners, then I'll add little details like rings and petals to fill up white space, and then I'll add the products that I actually want to feature in last. This helps me to see the photo as a whole, and generally means I spend less time faffing around with different props. 4. I'm a big fan of symmetrical images, if I position a product in the middle of the frame then I like to make sure that the space on either side of the product is as close to exactly the same as I can get it. I use Photoshop guides to ensure that the product is centred by switching on rulers (View -> Rulers), right clicking on the ruler and selecting "percent". I then hold down on the horizontal ruler and drag my mouse downwards, releasing it when I reach the 50% mark, which adds a green line. I repeat this step with the vertical ruler, dragging it to the right to give me a cross, with the middle point being the centre, then I position my image. 5. 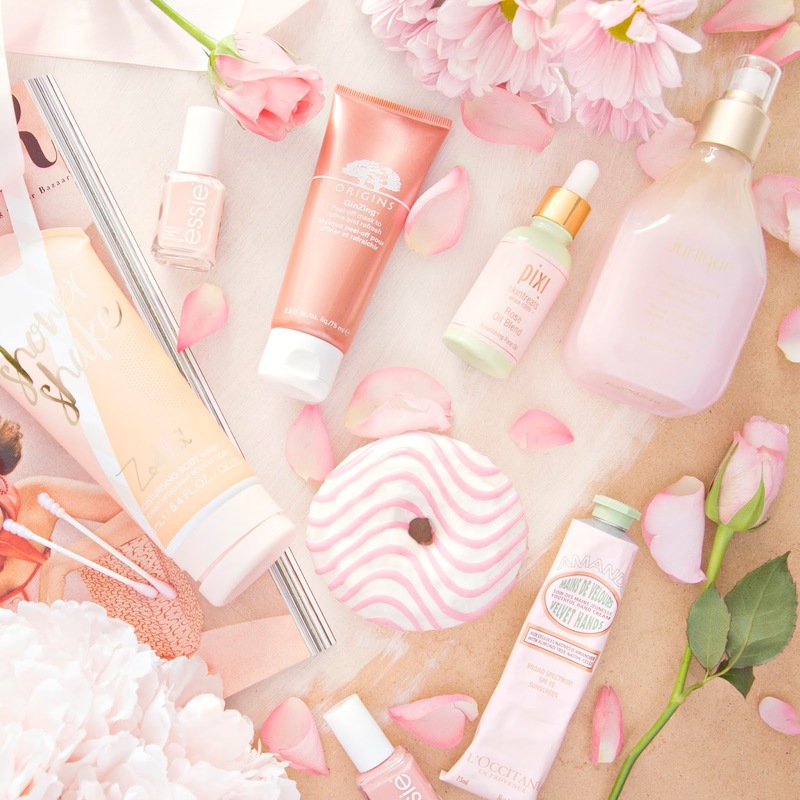 Use props of varying heights to add depth to your flatlays. Flowers in a vase are great for placing in one corner of the frame, you could also use a cup of tea, an open book, candles, cushions, food (donuts make a perfect prop), even the toes of a pair of shoes. Adding elements of varying heights makes for a more interesting image, and can also draw the viewers eye to a certain area, which is where you would want to position the product you are featuring. 6. 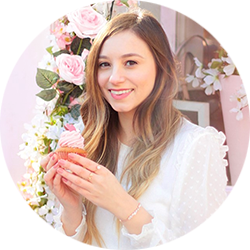 Lastly, I thought I would share a method that I learned from a jewellery photographer, who uses it to make sure that her diamonds look crisp and shiny. When shooting reflective packaging I make use of my trusty white card again, holding it immediately below my camera lens. The packaging reflects the white card instead of my whole body, which makes it look so much cleaner and shinier. For this tip to work properly I also position myself slightly in front of my flatlay setup, rather than holding the camera directly overhead. 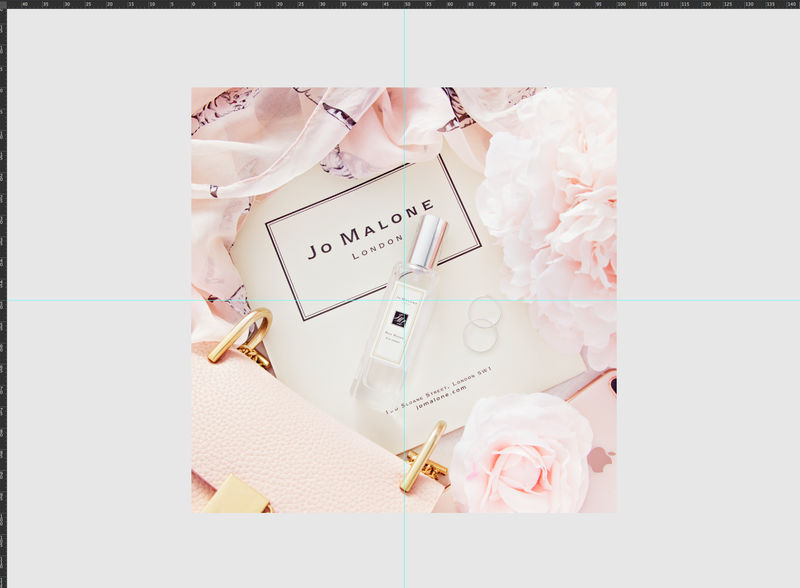 I've added an image below to show an example flatlay taken before using this tip, and after, where I've used the card and stepped back slightly. I hope you found some of these helpful. Please keep in mind that these tips are specific to the way that I like my flatlay images to look, and not necessarily the way you have to shoot, but it's always fun to experiment, so let me know if you give any of them a try!